Your favorite family of superheroes is back in Incredibles 2! This time around Helen is in the spotlight to save the world, while Bob is at home with the kids. 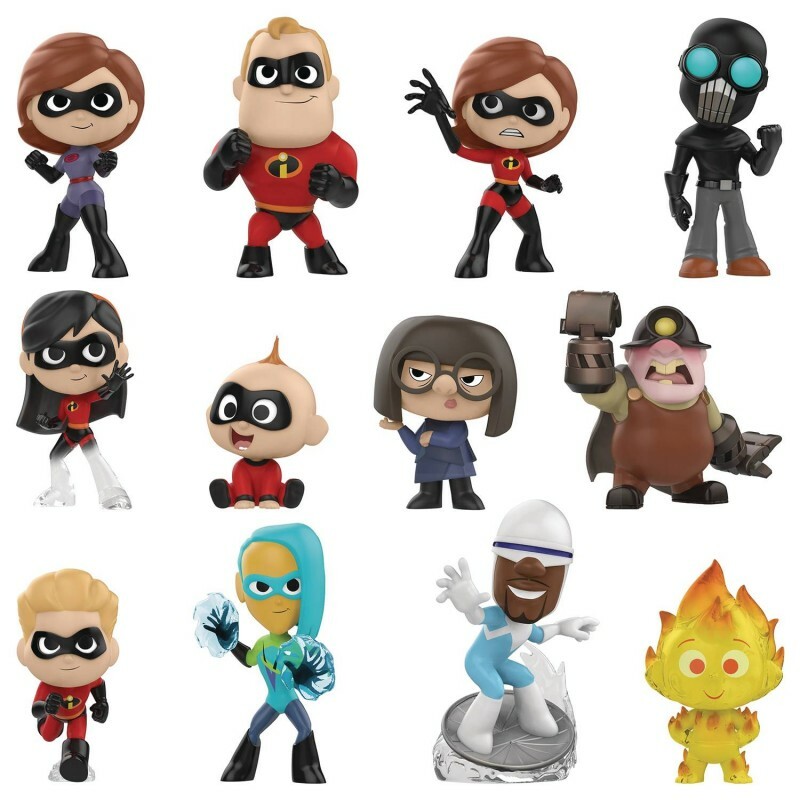 While you eagerly await the release of Incredibles 2, collect your favorite characters from the film as Mystery Minis! In addition to the standard set of Incredibles characters, there’s a new version of Elastigirl in her new suit, the new super named Voyd, the villains Screen Slaver and Underminer, plus many more! These 2’ figures come packaged in blind bags so collecting is always a fun surprise!